Jesus 'Chuy' Garcia rallies supporters in response to the election results that mean he'll face Mayor Rahm Emanuel in an April runoff. Chicago is bracing for phase two of the mayor’s race. Incumbent Mayor Rahm Emanuel failed to get more than 50 percent of the vote, which sets up an unprecedented showdown between Emanuel and the second place finisher, Cook County Commissioner Jesus “Chuy” Garcia. Garcia told supporters late Tuesday that his campaign is about regular Chicagoans in the neighborhoods and grassroots groups, while Emanuel’s campaign is about celebrities and powerful politicians like President Barack Obama who couldn’t seal the deal. “They all had their say. They had their say for too long. But today, the rest of us had something to say,” Garcia said. Meanwhile just blocks away, at a West Loop union hall, Emanuel raised his hoarse voice to encourage his supporters to keep working hard, for just a bit more. “We have come a long way, and we’ve got a little bit further to go,” Emanuel said. Emanuel shouted out to some of the supporters around the room: union workers in bright tee-shirts and jackets, business leaders and neighborhood groups -- as if to say, these are the bodies that built my campaign, too. “I want you to take a moment to celebrate what we’ve accomplished over the last four years. Take stock in it. 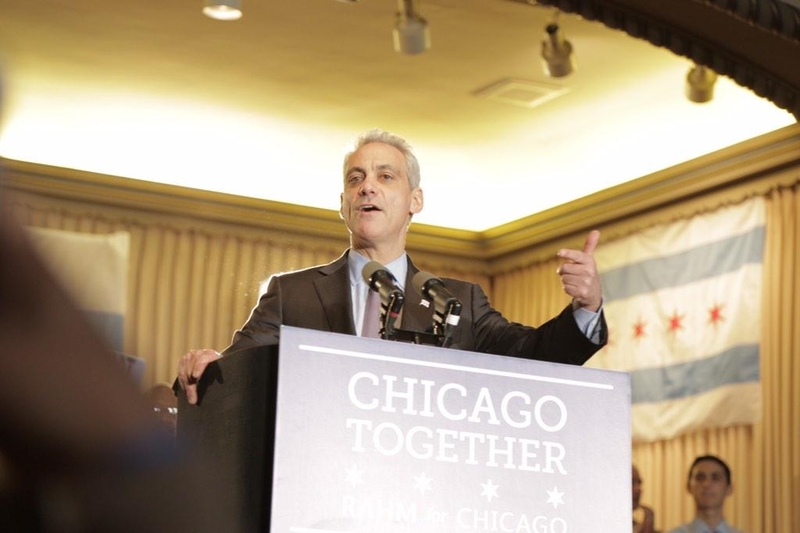 And let us double down, because tomorrow morning, I’ll be seeing you at the L stops,” Emanuel said. Lauren Chooljian and Tony Arnold are WBEZ’s political reporters. Follow them @laurenchooljian and @tonyjarnold.